Mira MX x64 for customers in academic institutions, government, and non-profit organizations. 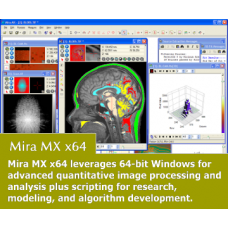 Mira MX x64 - Single User Academic License for installation on 1 computer for 1 user at a time. Fulf..
Mira MX x64 - Personal User Academic License for installation on 2 computers used primarily by the s..
Mira MX x64 - Renew annual maintenance subscription, purchased at or before 1 year after the most re..
Mira MX x64 - Reactivate and renew expired maintenance subscription between 1 and 2 years after the ..
Mira MX x64 - Reactivate and renew expired maintenance subscription between 2 and 3 years after the ..
Mira MX x64 - Reactivate and renew expired maintenance subscription between 3 and 4 years after the ..